And, let the bidding begin! 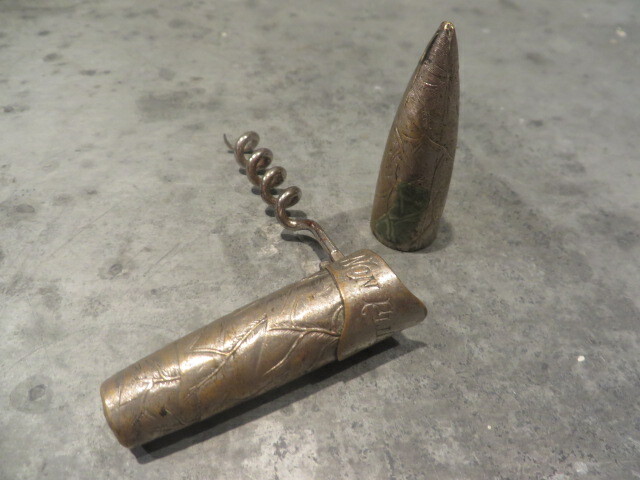 Today bidding opens on the latest collectorcorkscrews.com auction. 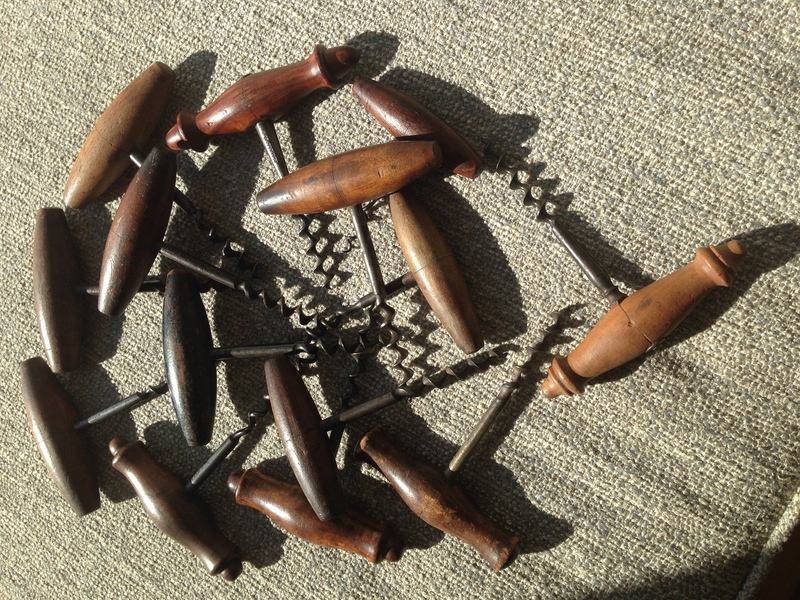 With 18 pages of listings, it is a veritable treasure trove of corkscrews. 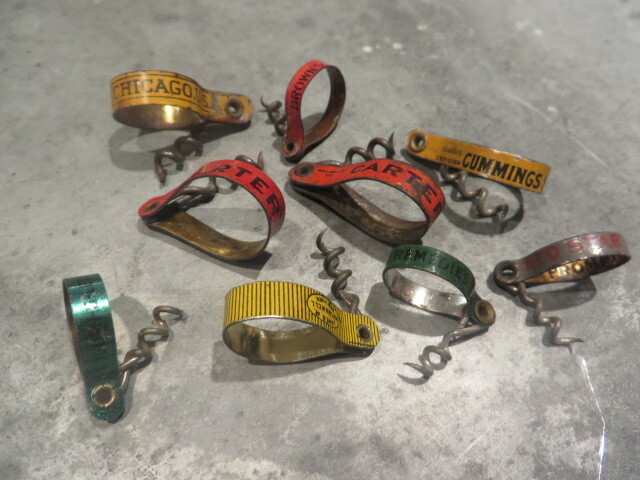 Mechanical, pocket, patents, figural, picnic, combination corkscrews, it is always amazing at what gets put up for auction each time. There are some definite rarities up for auction this time around, and there are a few that I would like to add to the collection. Okay, there are more than a few. Be sure to check out the latest offerings, and remember BID HIGH and BID OFTEN! 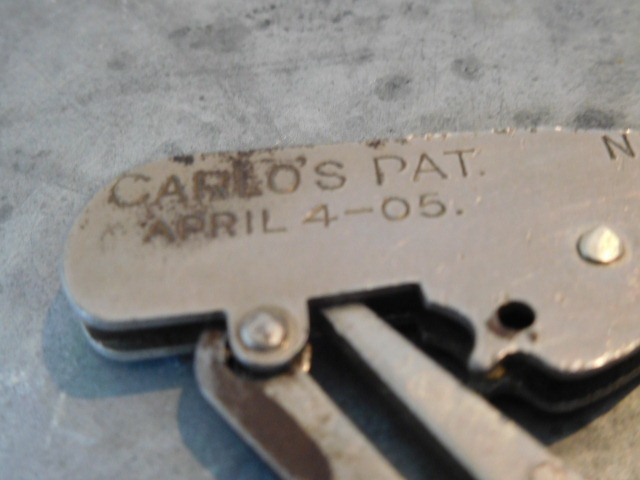 And, throwing a wrench into the best 6 selection, was a recent purchase of a Carlo Garimaldi patent waiter’s corkscrew. While Don had one on his sale page, this one came from elsewhere–and was quite the deal at that. 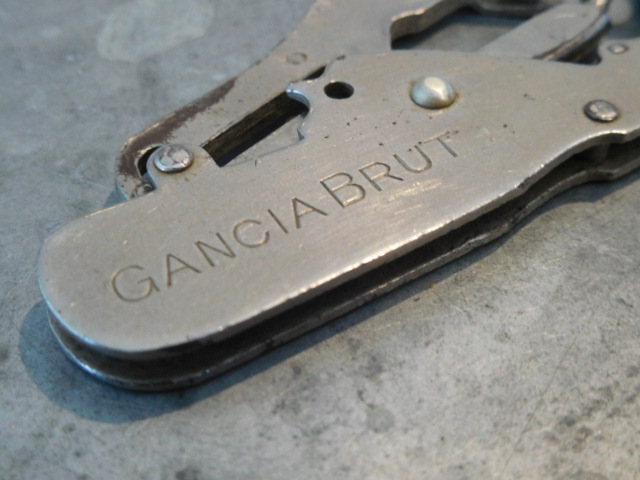 Well marked and also an advertisement for Gancia Brut, it arrived yesterday and I was quite pleased with the condition, and in short order put it to good use! 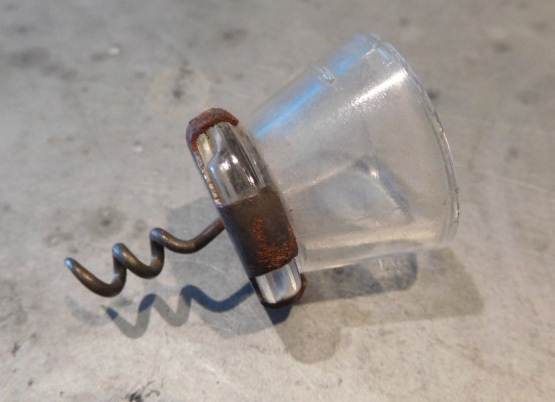 On of the principal features of the invention lies in the construction whereby the ordinary cork stopper is withdrawn. 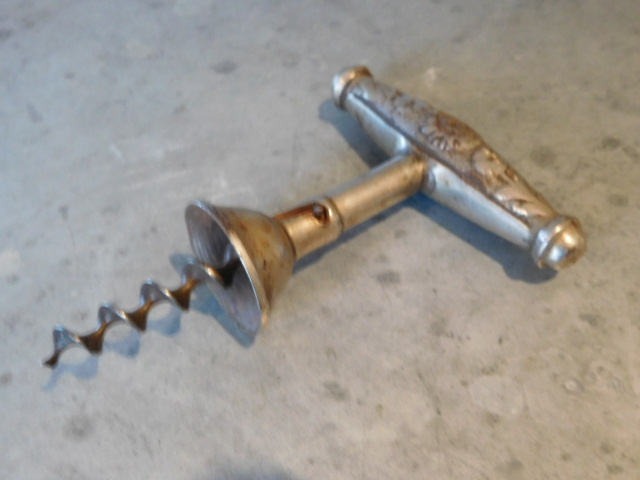 In connection with this feature, however, it is to be understood that I am aware it has heretofore been proposed a device to rest on the lip of a bottle after the corkscrew has been entered in the cork, whereby a leverage may e formed to enable the cork to be readily started from the bottle-neck. 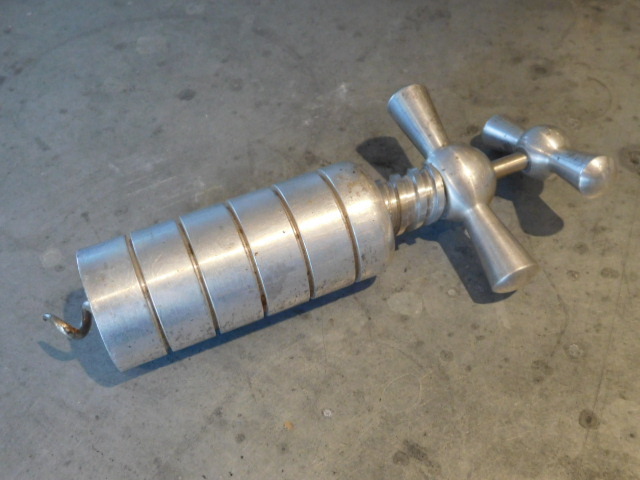 All devices of this character which have come under my notice are capable only of partly withdrawing the cork, and the final withdrawing operation must be performed in the usual way by a direct pull on the stopper, and the trouble in removing the stopper is not entirely overcome. 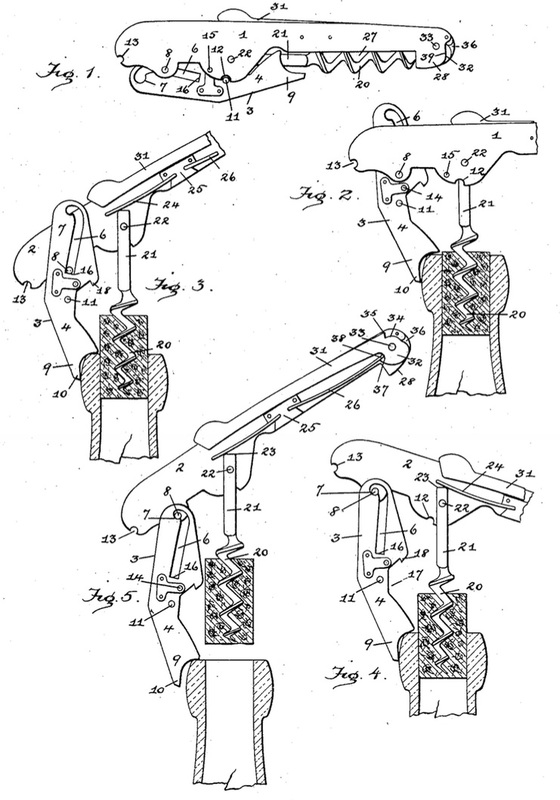 By my invention the stopper may be entirely withdrawn from the neck by the leverage operation. Okay… so how is this going to work Carlo? In his patent description, he goes into great detail. I will include the figures from the patent, so you follow along. The operation of extracting a cork will now be described. By reference to Fig. 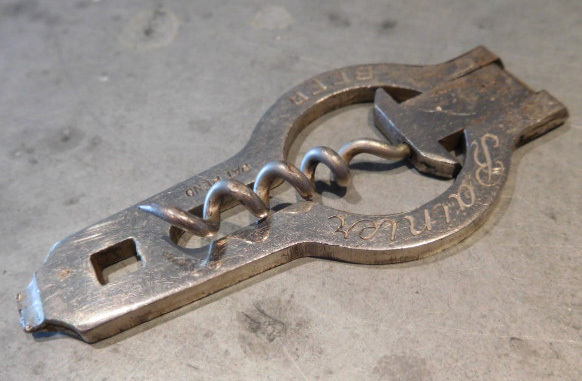 2 it will now be seen that the first operation consists of inserting the corkscrew in the cork stopper and then resting the U-shaped head 9 on the mouth or rim edge of the bottle-neck. When the parts are thus positioned, the stationary pin 8, which passes through the slots of 6 of the fulcrum-lever, has position at the lower end of said slots and rests on the lower fulcrum point 16. 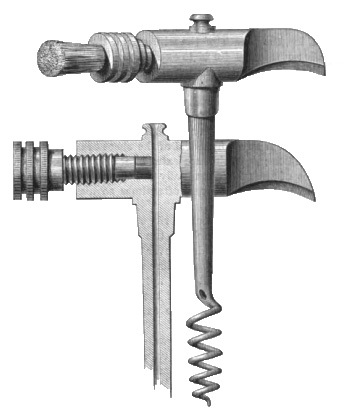 While in this position, the operating-lever formed by the outer projecting ends of the side plates will be raised, and as the fulcrum-lever is supported on the rim edge of the bottle-neck and cannot move downwardly the corkscrew and stopper will be compelled to move upwardly and away from the bottle-neck until the parts assume the position seen in Fig. 3. 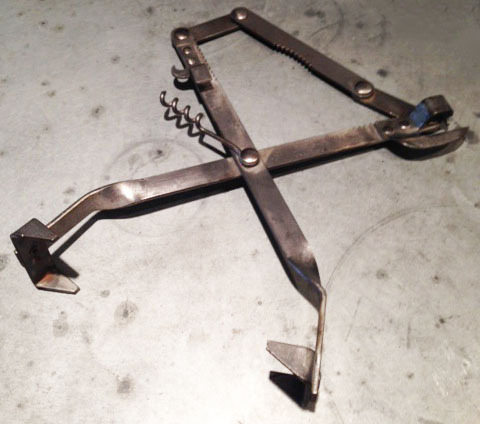 This is the limit to the upward movement of the corkscrew as long as the fulcrum-point 16 is maintained, because any further movement of the operating-lever would cause the corkscrew to be drawn laterally, and consequently result in breaking the bottle-neck. 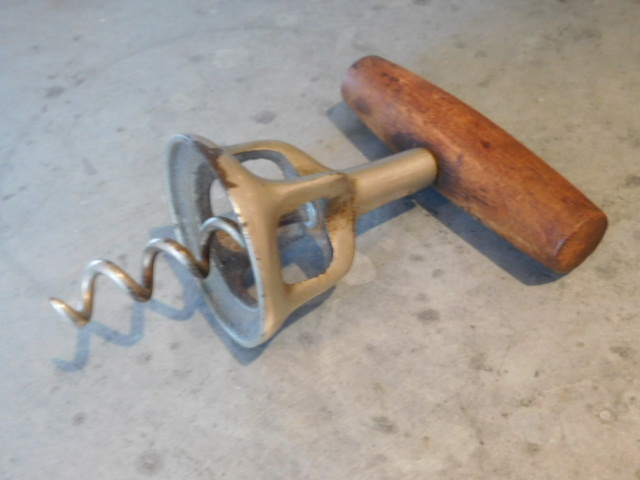 Unless some construction is provided to enable the fulcrum-point to be changed the further operation of withdrawing the cork must be by a direct pull in the usual manner of operating well-known corkscrews. So far as I am aware no one has provided a device to enable the fulcrum-point to be changed at this point in the stopper-extractor operation. In order to completely remove the stopper, the next operation in my device is to elevate the fulcrum-point, as seen in Fig 4. In order to do this, it is only necessary to lower the wire-cutter end of the side plates to elevate the pin 8 and seat it on the offset shoulders 7 at the upper ends of slots 6, as clearly seen in said Fig. 4. In order to do this, it is only necessary to lower the wire-cutter end of the side plates to elevate pin 8 and seat it on the offset shoulders 7 at the upper ends of slots 6, as clearly seen in said Fig. 4, and the operating-lever will again assume an inclined position, from which when elevated to the position shown in Fig. 5 it will entirely remove the bottle neck. 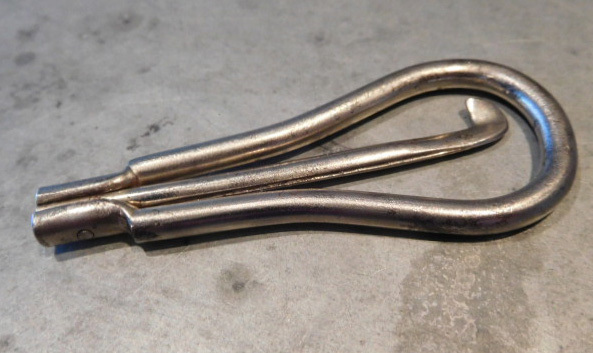 The operation of the device is extremely simple and effective and enables the stopper to be quickly withdrawn by two successive operations of the operating lever. Okay, this is supposed to be simple and effective. 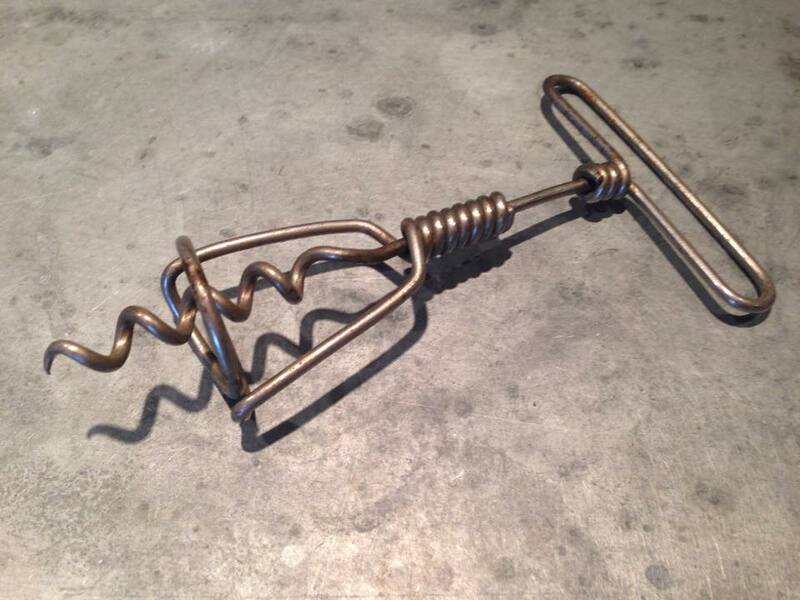 In essence the corkscrew worked quite well, and functions like a two-step waiter’s corkscrew. Not coincidentally, in the two-step (double fulcrum) 1999 Puig patent, they reference the Garimaldi design. A very nice addition, and certainly another candidate for the best 6!!! 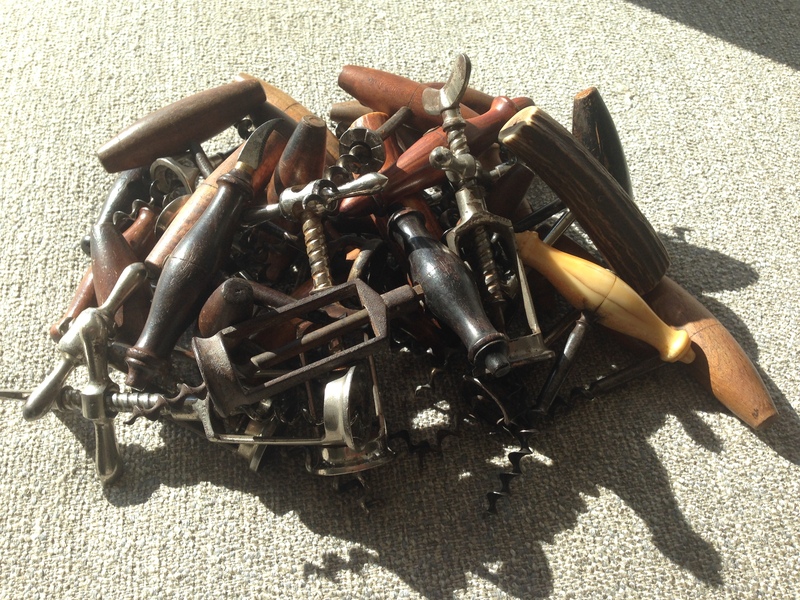 We are still a few months out from the end of the corkscrew-collecting-fiscal-year, and as is tradition soon enough collectors will be sorting through this year’s corkscrew acquisitions and selecting their best 6 of the year. 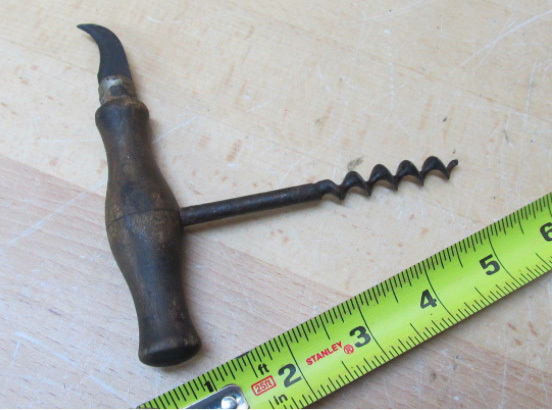 While Don Bull’s corkscrew sales and the latest collectorcorkscrews.com auction (bidding opens on Friday) will surely throw a wrench in the works, I have been taking a look at what are the potential candidates for my best 6 of 2015. There are a myriad of approaches to what makes up one’s best 6. For some they use their best 6 to illustrate variations on a theme. 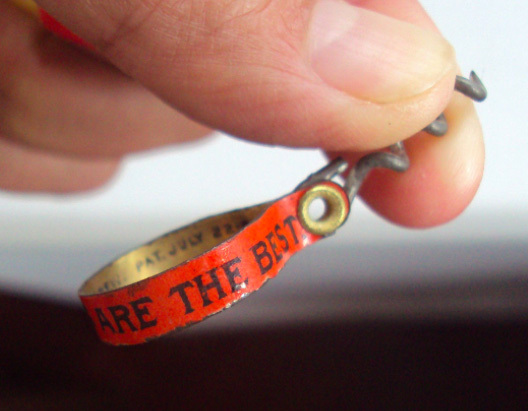 For others, it is the most valuable pieces, or the most sought after pieces, or the best deals made. For me, it is less about value, and more about appropriateness of fit within the collection. 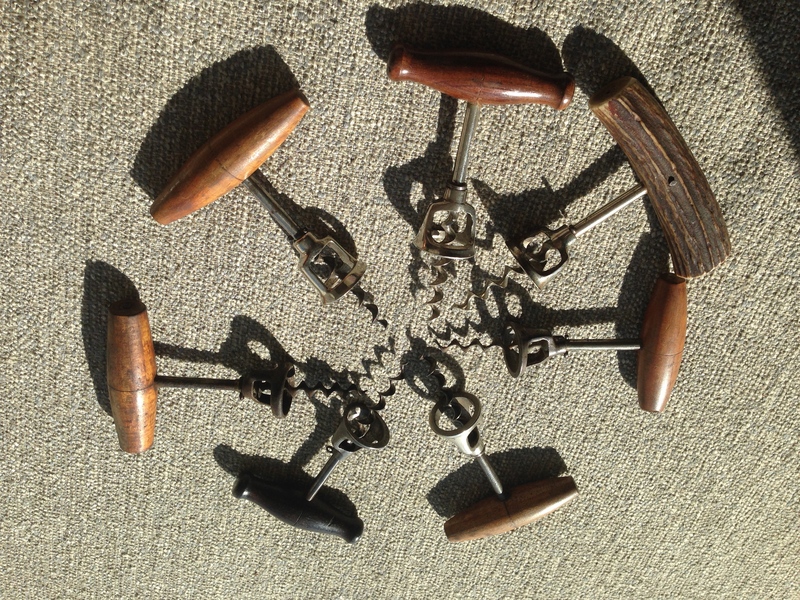 Perhaps it is a new discovery, or that one particular corkscrew that I have coveted for years and it finally made it into the collection. So, at this point–and we know this will surely change given the aforementioned Bull sale and CC Auction–here are the 12 that have the potential of making the cut. Of course, I am also including a poll at the end. 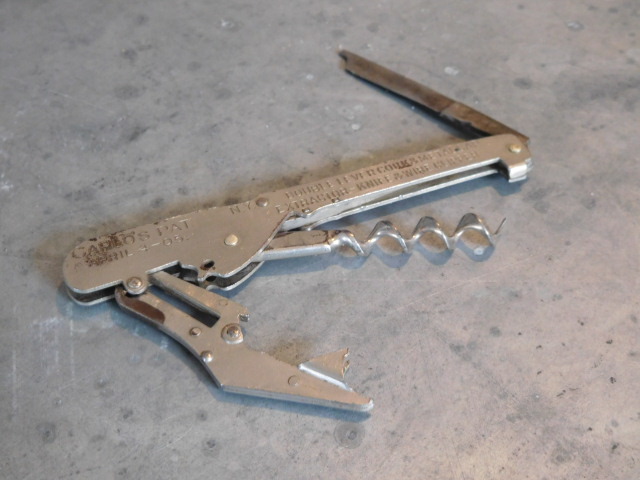 Feel free to weigh in on which corkscrews you think are the best of the 12. Of course, with two months and a couple of days to go, anything could happen. But, what do you think? Pick the 6 that should make the list! 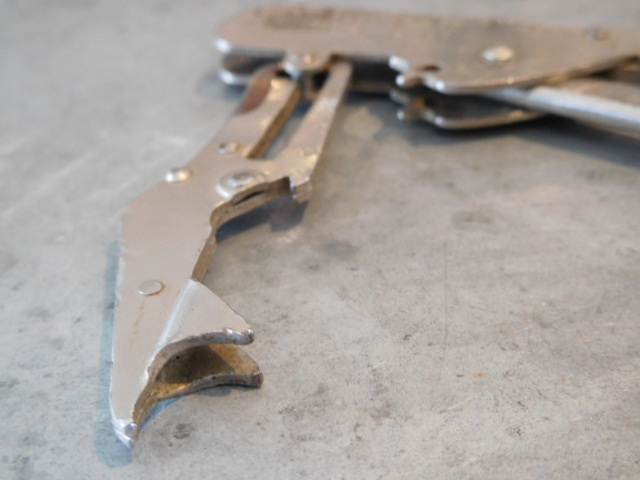 As many of you know, Don Bull is in the process of selling off portions of his collection, and yesterday the email announcement came that two pages of can openers would be made available. As I was working from home yesterday, it was in short order that I was visiting his website. 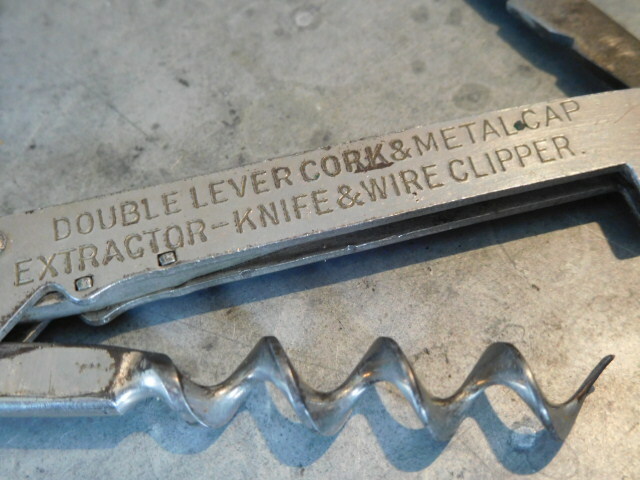 Opening the first page of corkscrews/can openers, as soon as I saw the second one on the page, I fired off an email. There very well could be others that I would want, but I felt compelled to act quickly. Surely there were others perusing the latest offerings. 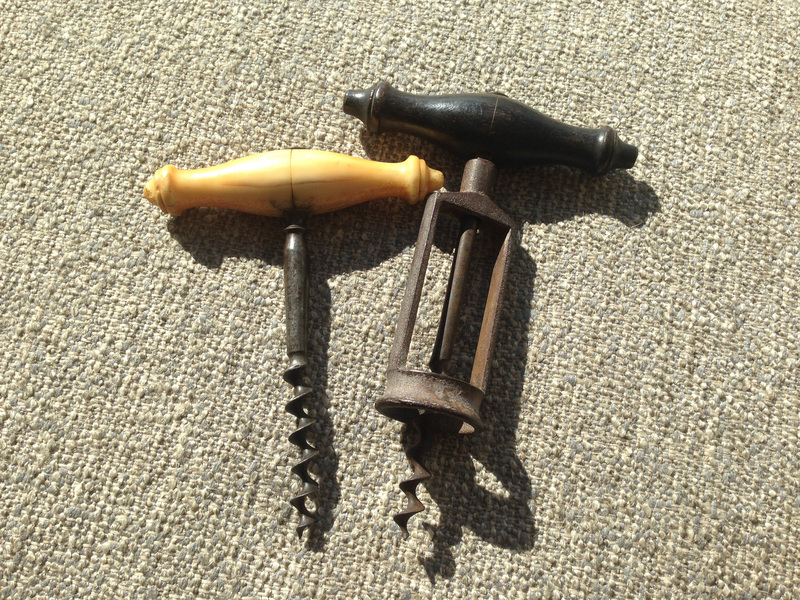 When I opened the second page of corkscrews/ can openers, the same thing happened. I started to scroll through, and then I saw one that definitely needs to be added to the collection. And, I quickly fired off another email. So, the Barnes can opener and “Lifty” will soon be heading to the island. Thanks for the deals Don! And, if any of you out there haven’t checked out Don’s site, or told him that you want to be part of his email list when he adds new stuff…make haste! From Volume 41 (1879) Scientific American. and tapped to receive a milled screw having at its inner end a soft rubber plug which may be driven forward by the screw as to stop passage through the shank. 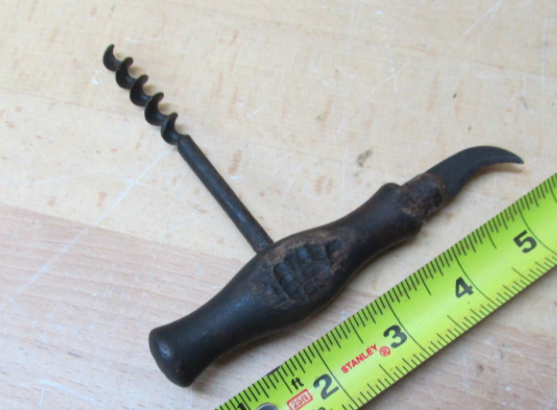 The outer end of the milled screw carries a brush used for removing cork chips etc. The arrangement of the passage from the upper end of the corkscrew will be understood by examining the sectional view. 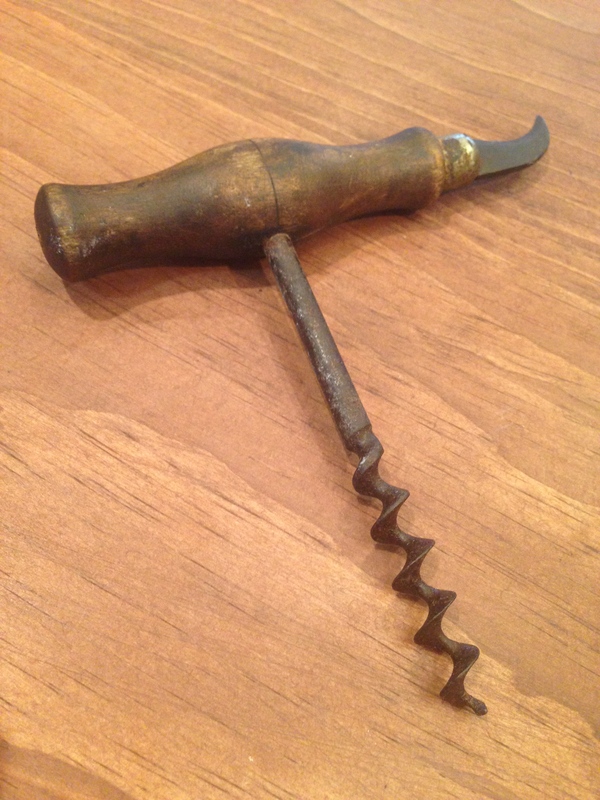 The device is used by passing the corkscrew through the cork, and forcing inward the hollow shank until its lateral opening is below the cork. Then, when the milled screw is loosened, the liquid may flow out of the bottle. 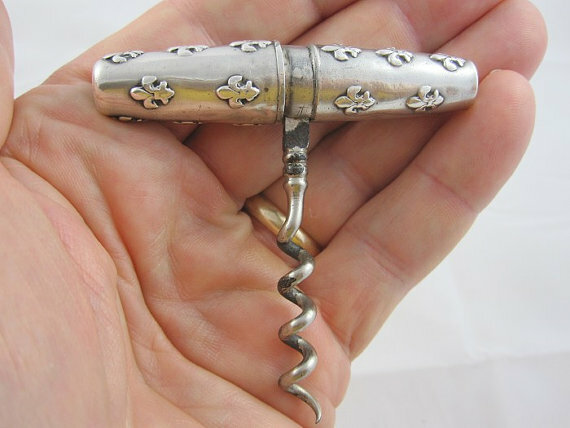 Listing has begun, and in 5 dqys bidding will open for the latest corkscrewcollectors.com auction. 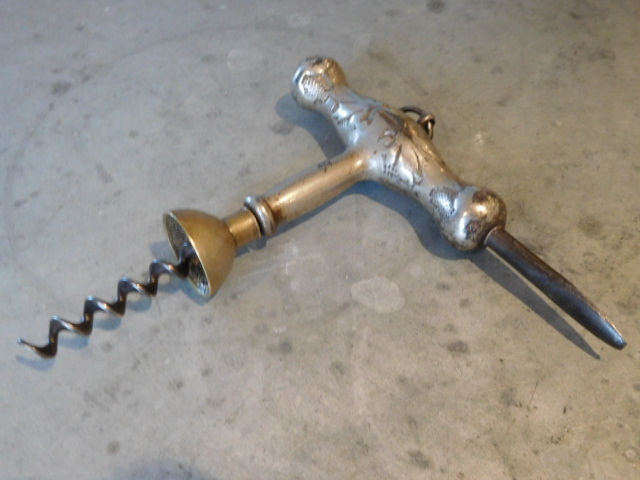 Always great corkscrews are offered up, and I have a few interesting pieces myself. 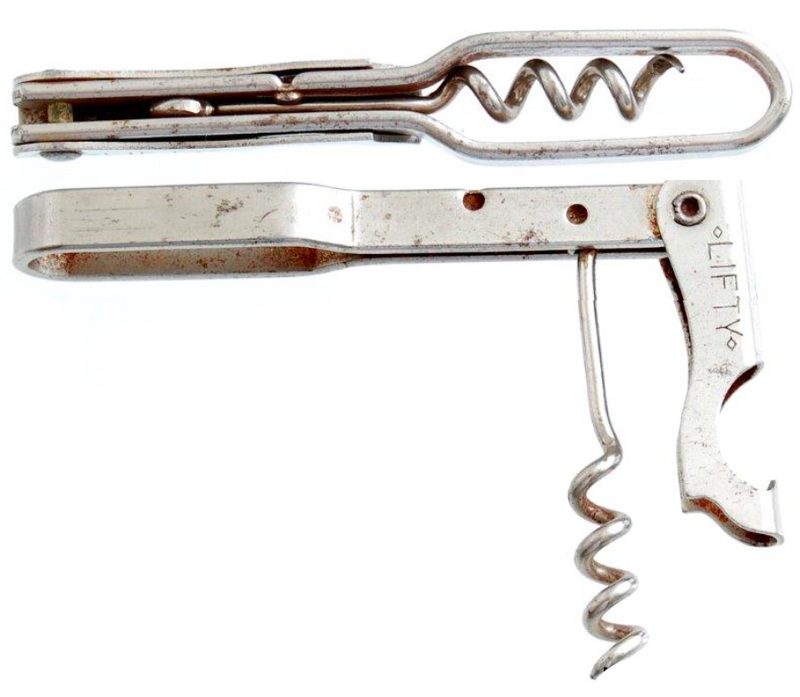 Surely lots of corkscrews will be changing hands, and I am excited to see what rarities will be available. 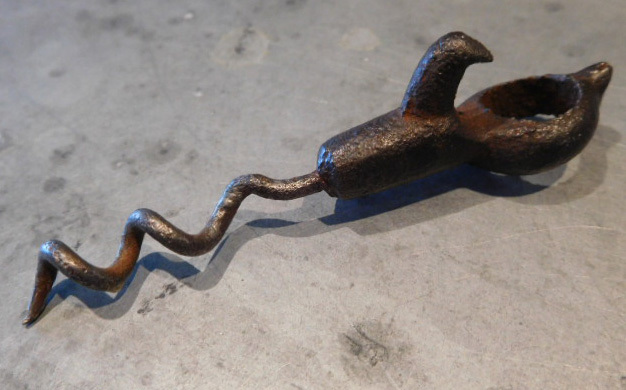 This was a neat find, as it was an example that didn’t make Barry’s recent article on Clough medicine corkscrews. That said, over the past few weeks, there have been other Judson’s Dye Cloughs put up for auction on eBay. In fact, one seller has had the same listing 5 times. I inquired as to how many he might have, and he responded explaining that he found several in an apothecary box. Okay, the last one was actually purchased by me, as I gave Barry the one I picked up in July. The Clough advertising band corkscrews, I promise, will not become an obsession. Okay, they might. But, I am going to say they won’t. Still, they are rather cool as a grouping. And, while there are a few other obscure Murphys that I would like to add to the collection, the Murphy with blade mentioned the other day arrived. And, soon it too will be added to the pile. 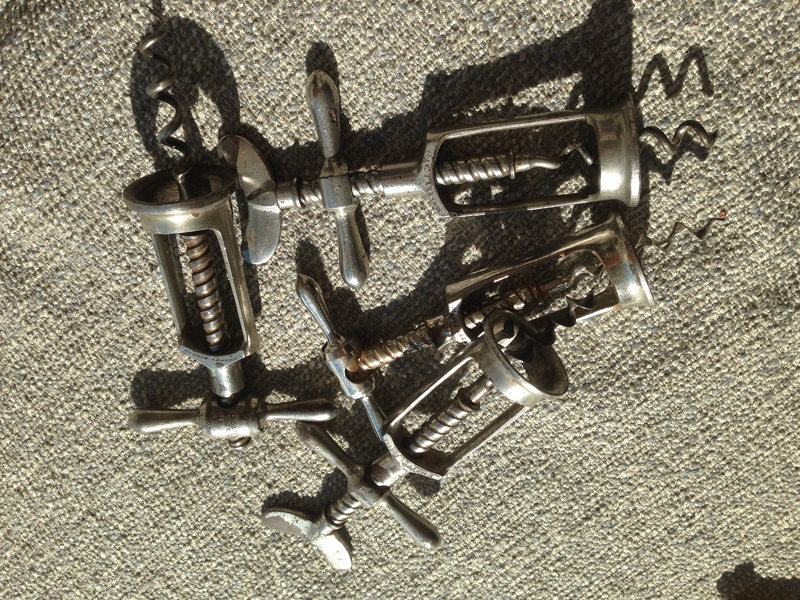 Have an extra MURPHY BOSTON, MURPHY, or R. MURPHY BOSTON corkscrew laying around, I am always looking for others! As it happens, I am only showing the picture from the listing, as the aforementioned La Pierre roundlet has yet to show up. Patiently, I have been waiting, until Gav shared a link to a La Pierre roundlet that he had recently run across. Messaging back and forth with the usual suspects on Facebook, as the listing showed sold, I explained that I had picked that up some weeks back. And, then Tommy chimed in, explaining he bought it. Yes, the seller sold the La Pierre to me, and proceeded to relist the item and sell it again to Tommy. And, relist the same item and sell it again to Peter. And, as we are starting to figure things out, and I am assuming each of us contacting the website through which it was sold, as well as paypal, and the seller themselves, the La Pierre was listed a fourth time. As it wasn’t much money, and it would provide for an interesting conversation should the seller actually respond to my inquiries as to why she was selling it multiple times, I bought that one too. Thus far there have been no responses from the seller whom has since been banned from the particular website she was using to sell. I have already heard from the website that was hosting her listings, and they have apologized for the issue, and Paypal is in process of investigating so funds will be returned (in relatively) short order. And, somewhere, there is a La Pierre roundlet that surely will be sold a fifth (and possibly sixth, seventh and twenty-third) time on a different website. Should this picture appear elsewhere, caveat emptor! I have a lot of Murphy corkscrews. And, when I am out and about antiquing, and I find one, I almost always pick it up, as there are so many variations in shape, size, and sometimes markings. That said, there are a couple of Murphys that are harder to come by, and while I do have one Murphy that has a blade on the handle, these certainly are less common than those of the non-knife variety. So…last week what looked to be a Murphy with blade was listed on eBay. 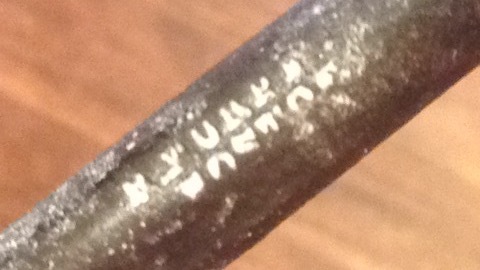 And, seeing the listing, and with no mark indicated, I sent the seller a note inquiring if there was a signature. And, in short order, he added this bit of information to the listing. I am pretty sure that Murray is actually Murphy. But, what the heck? 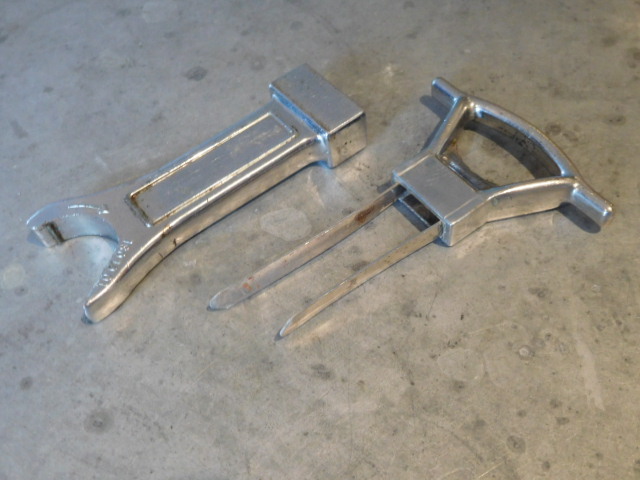 A Murphy with a blade, and one that is different than the one in the collection. I watched and waited, and then a little while before the auction ended threw out a healthy bid. And, as fortune would have it, the beaver-gnawed-tipped-worm-B-Murray-Boston corkscrew will soon be added to the Murphy collection. 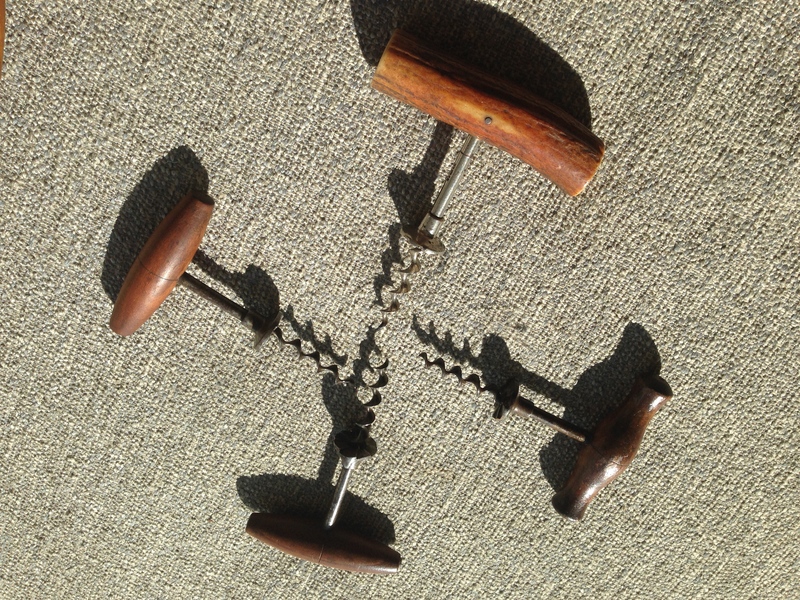 If you have a Murphy Boston (or even a Murray Boston) corkscrew with which you would like to part, drop me a line.